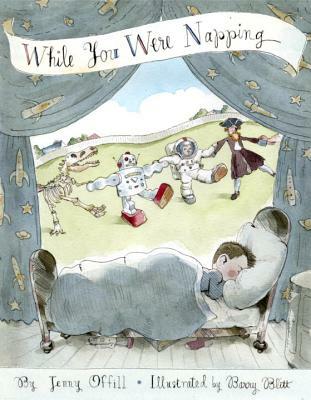 Here’s a picture book that is sure to ring true in every family with more than one child. With minimal text and raucous illustrations, this laugh-out-loud, spot-on picture book is also a perfect portrait of a mischievous kid at her imaginative best. Barry Blitt’s illustrations frequently appear on the cover of the New Yorker and have also graced the pages of Vanity Fair, the New York Times, Child magazine, and Entertainment Weekly. He is the illustrator of the children’s books George Washington’s Birthday: A Mostly True Tale by Margaret McNamara, The Adventures of Mark Twain by Huckleberry Finn by Robert Burleigh, and Once Upon a Time, The End (Asleep in 60 Seconds) by Geoffrey Kloske.